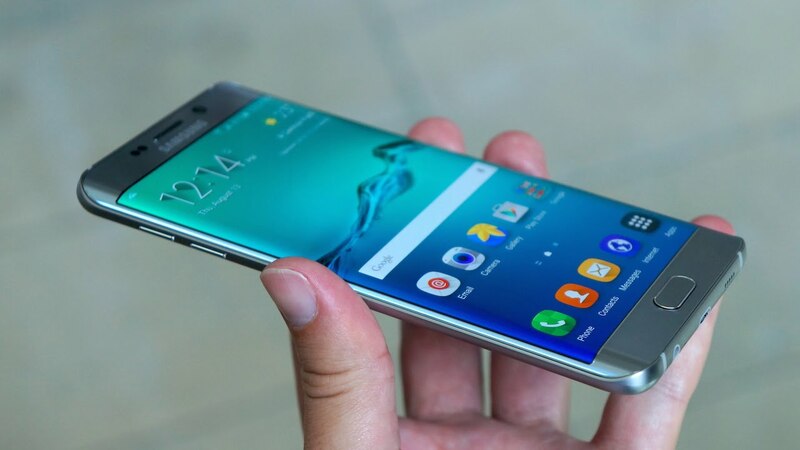 The Samsung Galaxy S6 Edge Plus is the bigger version of the Samsung S6 Edge. It is the first phone in the world with a dual curved screen display. The phone is gorgeous and stylish with amazing specs. The full metal body is bound to make anyone who looks at it weak in the knees. The phone has almost similar specs as the Note 5 sans the stylus pen. Instead, Samsung has replaced it with a dual curved screen. The build quality is excellent, and the metal glass body does wonders, but it is slippery making it slightly tougher to grip. The glass back panels a magnet for fingerprints. The Gorilla Glass 4 adds durability to the device. The phone has a 5.7 inch SUPER AMOLED display with a diamond pentile matrix. The screen resolution is 2560x1440 which translates to a pixel density of 518 ppi. The colors are sharp and the text clear. Video playback too is amazing on the huge screen, and the phone enters a new realm in this aspect. The screen is top notch with wide viewing angles, super bright screens, great sunlight legibility, infinite contrast and accurate colors. The phone runs on the superfast combination of the Exynos 7420 and an Octa-core CPU, four of which buzz at 2.1 GHz and the other four at 1.5 GHz. The graphics unit on the phone is a Mali T760MP8. The chipset is powerful enough to handle multiple apps open at the same time and multitasking is fluid on this phone. The processor is more than enough to satisfy even the most demanding users. You get the phone with Android Lollipop upgradable to Marshmallow. You get a huge 4 GB RAM and 32 or 64 GB of internal memory. There is no slot to expand the memory, though. The S6 has a 16 MP camera with lots of features like OIS, autofocus, touch focus, face detection and much more. You can also quick-launch the camera app by double tapping the home button. You can take videos in 3 different formats. The secondary camera is a 5 MP shooter with dual video call and auto HDR. The phone has a 3000 mAh non removable battery. The large battery will give you more than three and a half days of charge at a single go. The phone comes with a Quick Charger which can charge the phone completely in less than 2 hours. The phone also has two battery saving modes which cut down unimportant functions to give you hours of battery life even in the single digits. All this will ensure that even the most demanding power user will not feel the need to charge his phone every day. The phone has all the standard connectivity options likeGPS, Bluetooth, Wi-Fi, and NFC. There is no radio. 2) Long battery life along with power saving mode and quick charge. 1) There are very few things to improve, some of them being that there is no radio, and the battery is non removable.